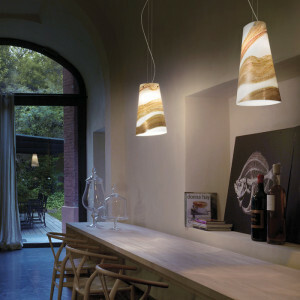 Barbara Maggiolo is an Italian lighting designer born in 1971. The artist attends the University of Architecture and the International School of Graphics. After his studies he collaborates with some Italian and foreign companies, taking care of their image, showroom and settings. Since 2002 Barbara Maggiolo becomes the image manager for Vistosi; at the same time, for the same company, it also takes care of the production phases of the product for corporate communication. At Vistosi Barbara Maggiolo has the opportunity to come into contact with the glass processing, which she is passionate about. 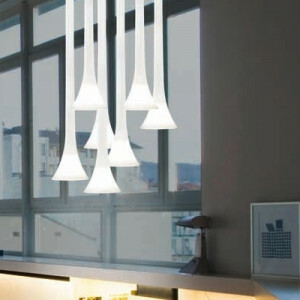 In fact, the craftsmanship of glass makes it possible to create unique objects that produce evocative atmospheres. 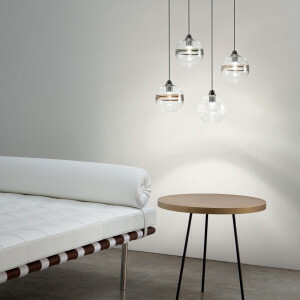 The lamps designed by Barbara Maggiolo stand out for their retro and elegant taste. 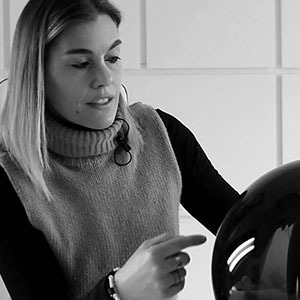 The discovery of the Murrina application and of the handmade processing known "balotton" allow Barbara Maggiolo to design Murano glass lamps classifiable as real works of art.